Alfred Horn. Insight Guide: Czech & Slovak Republics. Eugen Lazistan, Fedor Mikovic, Ivan Kucma and Anna Jureckova. Slovakia: A Photographic Odyssey. Jim Downs. World War II: OSS Tragedy in Slovakia. *Julius Bartl and Dusan Skvarna. Slovak History: Chronology & Lexicon. Lil Junas. My Slovakia: An American's View. Mark W. A. Axworthy. Axis Slovakia: Hitler's Slavic Wedge, 1938-1945. Michael Jacobs. Blue Guide: Czech and Slovak Republics. Minton F. Goldman. Slovakia Since Independence : A Struggle for Democracy. Neil Wilson, Richard Nebesky. 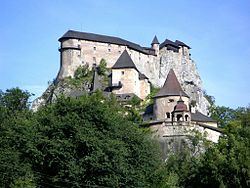 Lonely Planet World Guide: Czech & Slovak Republics. Olga Drobna, Eduard Drobny and Magdalena Gocnikova. Slovakia: The Heart of Europe. Rob Humphreys. The Rough Guide: Czech and Slovak Republics. Stanislav Kirschbaum. A History of Slovakia : The Struggle for Survival. The Slovak Republic: A Decade of Independence, 1993-2002. ↑ CIA. 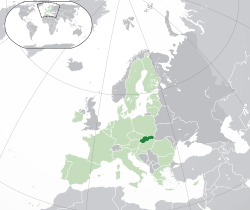 "The World Factbook: Slovakia." [Online]. Available: https://www.cia.gov/cia/publications/factbook/geos/lo.html 2007. Retrieved 2/13/2007. หน้านี้แก้ไขล่าสุดเมื่อวันที่ 16 เมษายน 2562 เวลา 11:12 น.